We have all seen the video of #DeAndreJohnson in the altercation in the bar in #Tahallase Florida. During that altercation DeAndre punched(Becky) a woman in the face. For what? We don't and won't ever know but we do know is he just f*cuked up his whole life in a matter of minutes. Let me tell you something, I don't care if Becky told him his mama was a crackhead turning tricks on MLK Blvd. He should of walked away. Lil'Becky don't have any worries at this moment. 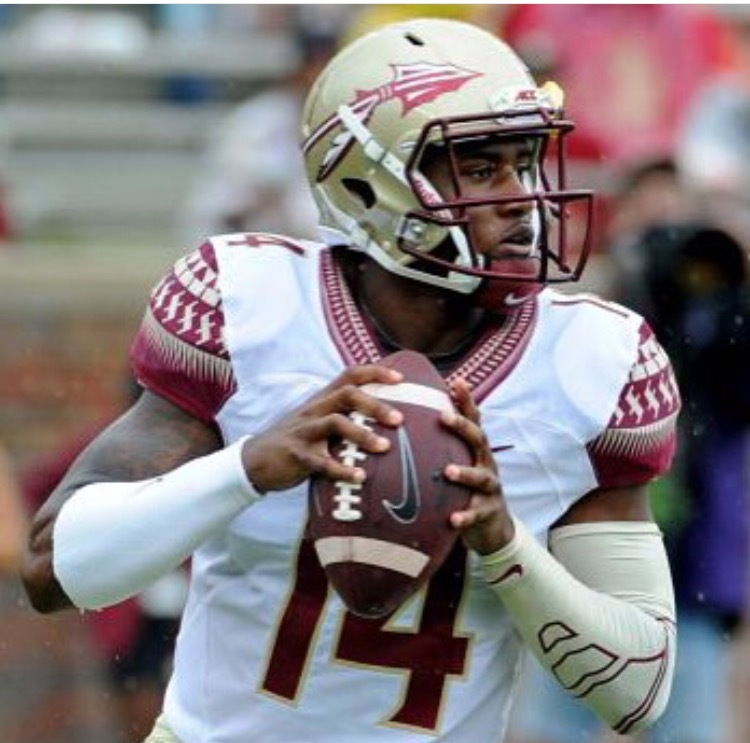 Earlier today FSU have dissmissed the #Freshmen (redshirt) quarterback from the University. He has pleaded not guilty to misdemeanor battery. Mr. Football has truly ruined any dreams of making it into the league. He will be shunned for this incident. These young athletes need to THINK FIRST. Hell, I think they should start training these young men from High School about the proper protocol. Ronald Darby of #BuffaloBills wants to know why #Becky isn't facing consequences for her part in the incident. Well, Ronald as great as that may sound. Watch the video again-Becky did the wobble after that hit. Duh..
Don't get me wrong, I know us/we women can get out of pocket on most occasions, But at the end of the day-Would you want some MAN to punch yo mama, sister, auntie...HELL your DAUGHTER?